When it comes to determining the value of your scrap metal, there are a number of factors that affects its pricing. The demand and supply of scrap metals in various industries plays a major role in determining its economic value. If the supply of scrap metals surpasses its demand, the economic value decreases. Similarly, if the demand is greater than the supply, the prices increase significantly. The economic status of the country also plays a major role. The market price of metals affects the value of the scrap. If the market price of a particular metal increases, its scrap metal prices will increase too. The right timing also matters. For example, when the weather is suitable, there is more demand for recyclable metals and hence you can expect a rise in price. Location of the scrap yard is one of the most important factors. Customers prefer scrap yards that are close to their factories as this reduces the transportation costs. The price of scrap is higher in scrap yards located in an industrial area than in those located at far off places. You can look for scrap yards in Dubai that are located in industrial areas. Apart from the quantity, quality also plays a significant part in determining the scrap value. If your scrap is covered with insulation or corrosion, you’ll get a much lesser price as the dealer will have to clean up the metal to get the value for money. 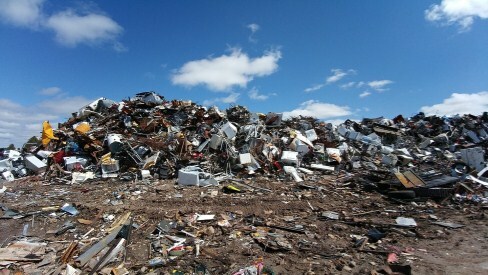 Clean, high quality scrap yields more money. The type of metal is another factor. Non-ferrous metals are considered more valuable than ferrous metals as the former more malleable and the latter is more vulnerable to rusting. Copper is a valuable metal that can be recycled. Copper scrap is available in different forms and it is used in various industries in Dubai,UAE. From wires to tubing, these forms of copper can be recycled to keep the environment clean and preserve the resources for generations to come. 1. Copper Wire- This is found in abundance in electronic devices and is an excellent conductor of electricity. 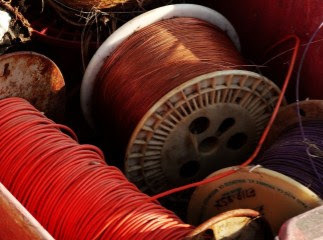 Copper wires are easy to find and are recycled the most. Copper wires need to be free of any impurities before being recycled. Bare bright copper wire is a valuable grade of copper. It is free of any impurities , has no coating and is unalloyed. It is one of the most sought after forms of copper that can be recycled. 2. Copper Tubing- Copper tubing is used in a variety of items. It is most commonly used in plumbing and as a refrigerant line in HVAC systems. This also needs to be free of any impurities and is easy to recycle. The leftover copper tubing during plumbing or any other contract work can be taken for recycling. 3. Flashing Copper- Flashing is your home's primary defense against water. Flashing copper is found in roofing and exteriors. Contractors will usually have leftovers of flashing copper from the work they do. Recycling this is a great way to recycle scrap metal. 4. Copper with Tar- Roofing Copper with heavy tar can often be found on roofs, gutters, and other home building resources. Copper with tar can be recycled as scrap metal. This is not the most ideal way that recyclers like receiving copper, but it is recyclable.